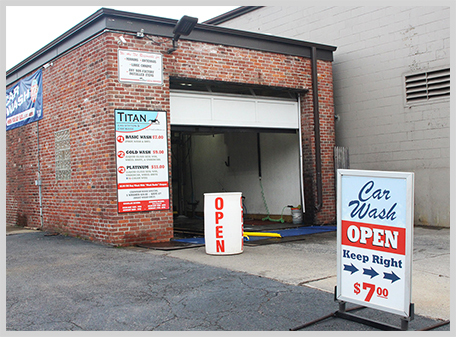 Family-owned and operated, Titan Gas & Car Wash has been serving Medford and surrounding areas since 1960. We look forward to continuing to provide Medford with exceptional car wash & auto detailing services and complete customer satisfaction. Titan Gas & Car Wash is a full service gas station with discount prices. We have a full line of automotive fluids to ensure your car is running properly. We have a modern state of the art, soft cloth brushless car wash. We use the finest Blue Coral and Simonize products in our tunnel to ensure a superior shine. Auto detailing services available include interior steam cleaning, hand buffing and wax, as well as full car restoration. Appointments are recommended.